Welcome to the first post in our Holiday Hospitality series! 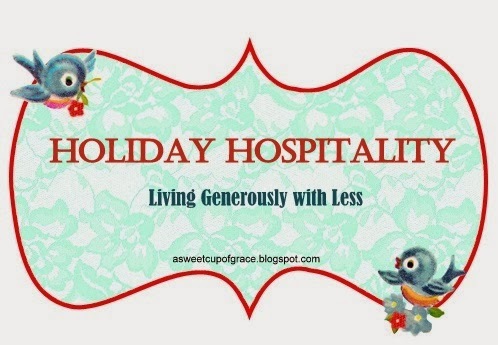 Here is a fun, sweet treat where your kiddos are all hands-on in the making-of and giving! The gift of Snowman Soup is sure to fit any budget. It is simply hot cocoa (you can make your own mix or purchase a box of packets), mini marshmallows and a candy cane! I combined a coupon with a recent sale at Walgreens to purchase three boxes of Swiss Miss hot chocolate. The candy canes were also on sale too, and you'll be sure to find those for next to nothing in the upcoming weeks. The final packaging of your Snowman Soup is up to you! You can put them in ziplock baggies, mugs or plastic gift bags like the ones above - I snagged these snowman-themed bags for a $1 for a package of 8 at Family Dollar! They are absolutely perfect for this gift. First I arranged all the ingredients on our dining room table for simple packaging. Here are my helpers putting together the treats. Each package contains 1 packet of hot cocoa mix, a handful of mini marshmallows and 1 candy cane. After closing the bag I attached a Merry Christmas gift tag with ribbon. 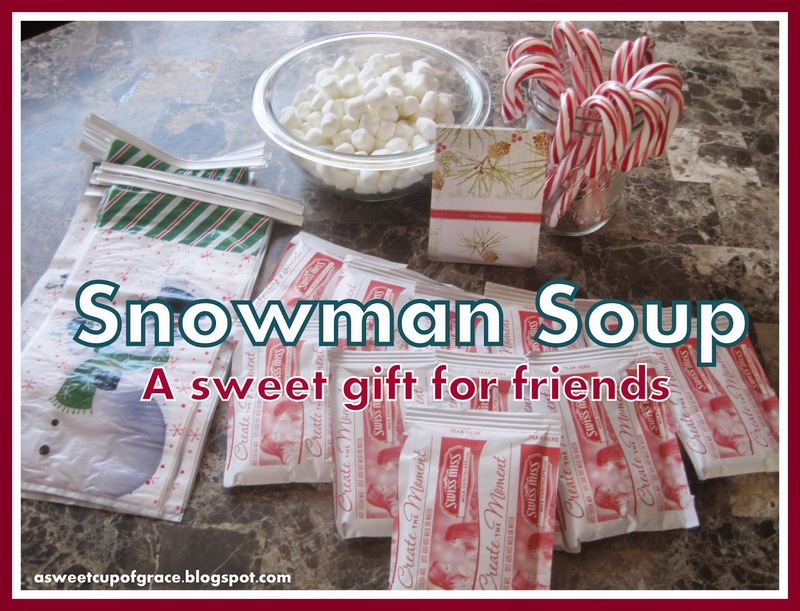 You can also attach a cute Snowman Soup poem label! You can find many of those on Pinterest. Ready to give to our friends when they visit! Thank you for joining me in this series. We hope you stop by for more!